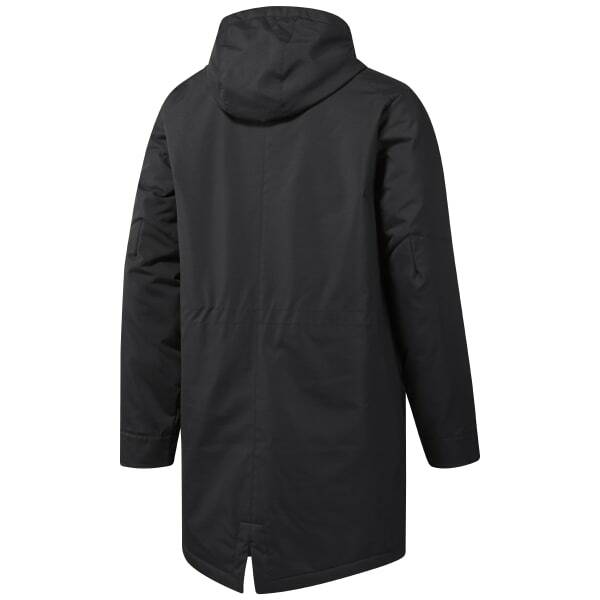 Grab this fleece-lined men's jacket with a fishtail hem to help keep you warm when outdoor elements turn chilly. Come wind, rain, or mist, the Durable Water Repellent finish helps keep you dry. A storm flap and chin guard offer added coverage. Bury your hands in the pockets to help keep your digits warm.